Before taking the current form, it is worth mentioning that writing systems were invented in ancient civilization. The materials, books were created by, might have been of stone, clay, tree bark, metal sheets. The largest extant medieval manuscript in the world is Codex Gigas 92 × 50 × 22 cm. But books can be as tiny as 2x2 cm. Though today it is possible to place books in one tiny rectangular shaped, so called PC that is space efficient, comfortable, and infinite. The idea of creating digitalized library that might have been freely available online comes from 2002 after Reddy’s team scanned 1,000 books. 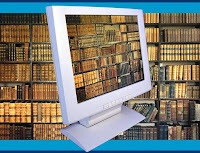 Universal Library , the project that initiates the creation of vast digitalized library surpasses 1. 5 million books. In total amount $10 million is contributed aiming to succeed in development Universal Library. 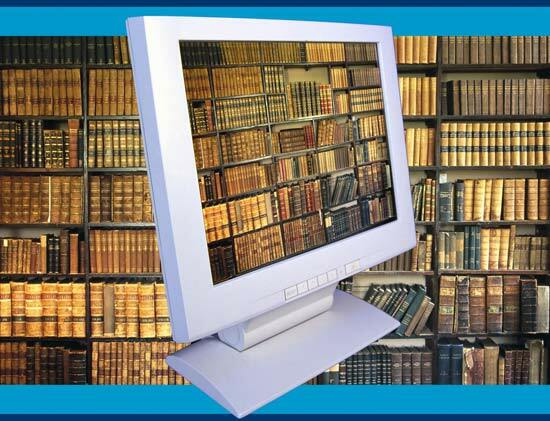 Though it is not the first initiative and not even the first online library the purpose of the project serves users freely and aims to educate society in the modern, simple and convenient way, where there is not boards to know more than you do today. The Universal Library so far has books published in 20 languages, including 970,000 in Chinese, 360,000 in English, 50,000 in the southern Indian language of Telugu and 40,000 in Arabic. Reach infinite knowledge by finite physical effort. To know more today than you did yesterday several clicks are enough. The earliest known book is an Egyptian papyrus scroll from the 25th century B.C., on which are recorded the maxims of the vizier Ptahhotep. The earliest known cookbook is about nine hundred years younger than the scroll, suggesting that lawyers preceded chefs on this wicked planet. The first author to receive a royalty, as opposed to a flat fee for licensing a work, was the English novelist Mary Ann Evans (1819–1880), who wrote under the pen name George Eliot. The ever-curious Roman historian Pliny the Elder—who died off the Neapolitan coast in 79 CE, overcome by poisonous fumes from a volcanic eruption of Mount Vesuvius, which he had sailed from Rome to witness—records in his Natural History that he once saw a papyrus manuscript of Homer’s Iliad so small that it could be rolled up to fit inside a walnut shell. It’s generally believed that the first children’s book was the Orbis sensualium pictus by Jan Comenius, published in Germany in 1658. The world’s longest novel remains Jules Romains’s Hommes de Bonne Volonté, tipping in at two million words and eventually published in twenty-seven volumes. Folklore has it that baseball was born Athena-like from Abner Doubleday’s thoughtful brow in 1839. America’s top ten literate cities are, in descending order: Minneapolis, Seattle, Denver, Atlanta, San Francisco, Pittsburgh, Washington, Louisville, Portland (Oregon), and Cincinnati. The first copyright infringement suit known to us occurred in Ireland in AD 567.